Audemars Piquet is celebrating its 135th Anniversary this year and in line with this celebration, Audemars Piquet has launched the limited edition Royal Oak Offshore Jarno Trulli. 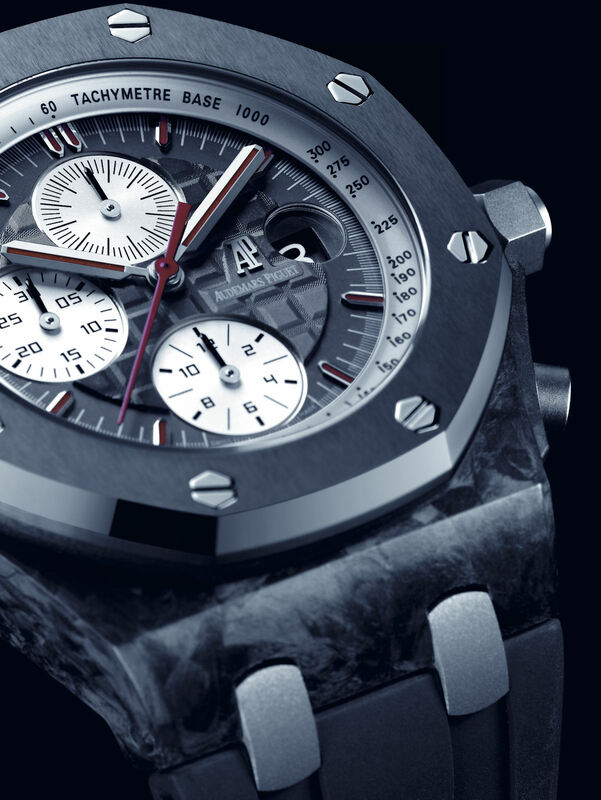 This watch, a limited edition run of only 500 pieces, will initially be available from the Audemars Piguet Boutique in Ginza, Japan followed by a international release at the end of the year. Emm, I did not find the boutique.... The watch is expected to retail for USD 28,900. The watch, reference 26202AU.OO.D002CA.01, will be powered by AP calibre 3126/3840, an automatic 13 ¼ ligne movement. The movement has 59 jewels and is made up of 365 parts. It offers a power reserve of 60 hours and beats at 3 Hz or 21,600 vibrations per hour. It is a beautiful movement that is decorated with circular graining on the mainplate, and rhodium-plated, chamfered and snailed bridges with Cotes de Geneve motif. The movement will also feature a 22-carat gold rotor with anthracite gray galvanic coating. 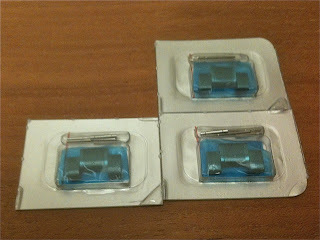 All these can be seen through the sapphire crystal display back. The movement is cased in a forged carbon middle case with a Cermet bezel. 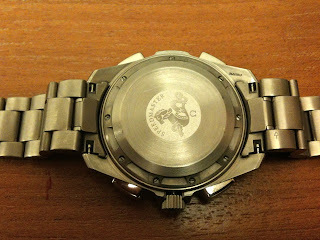 The titanium crown and chronograph pushers will be sandblasted. 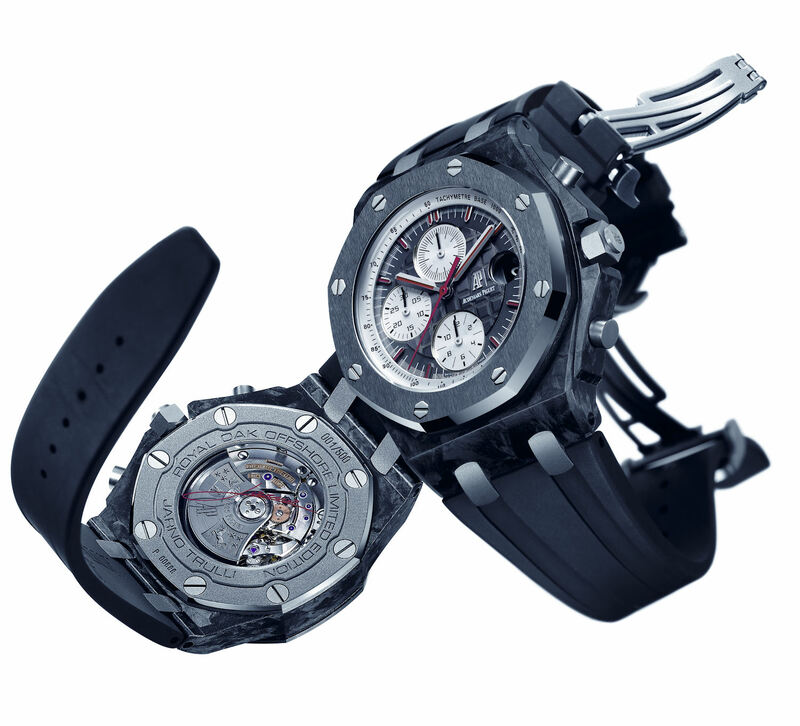 The case back is made of titanium and will carry the inscription Royal Oak Offshore Limited Edition – Jarno Trulli. 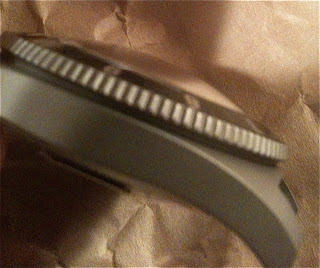 The case is 42 mm in diameter and 15.65 mm thick offering a water resistance rating of 10 ATM. Cermet is a unique alloy made by combining ceramic and tungsten or bronze. Cermet offers superior wear and corrosion properties. What I like about the watch is the dial with the “Mega Tapisserie” motif and the silver chronograph sub-dial. The hour markers and the hands are coated with a red/purple luminescent coating. The watch offers the following functions: hours, minutes, seconds (sub-dial), chronograph and date complication. I have to say that the watch is one of the nicest ever made: sporty but elegant and very smart, a rare example of pure lines & long-lasting design. Sadly I feel that AP has one too many limited edition watches. What makes it worst is that my favourite brand seems to be following in the same footstep. Sigh. Finally got the links for my Omega X-33. Actually got it on Christmas day. Yeah, the mail works on Christmas day here in Taiwan as it is not a national holiday. Now I have a another option on how to wear the X-33. Just a reminder, I got this watch pre-loved and the original owner has small wrist. No extra links were available. 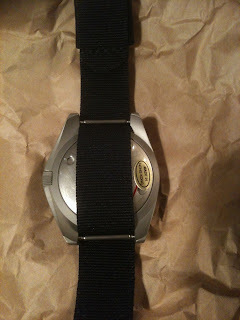 The strap came with the bracelet, Taikonaut NATO strap and a long strap. Later I got the Kevlar strap. Anyway on with the installation of the extra links. First I have to apologise as the photographs are a tad soft. I suspect dust on the lens. On with it. 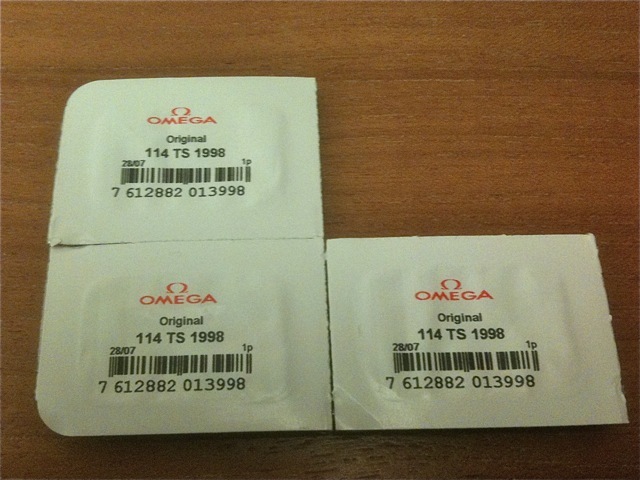 The new links, fresh packed from Omega. The link plus necessary parts. 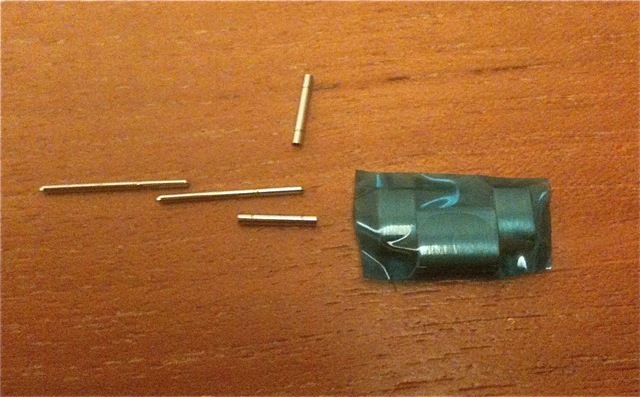 There are two sets of the pins and locking collar. The part number of the links. The supplier had one in stock and had to order more, hence the delay. That is why there are two that are 'attached' and one loose. The bracelet. It is short for me, even when deployed. The beautiful clasp. Looks unused. The parts. 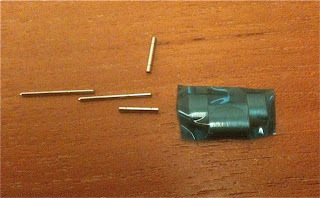 You can see the two sets of pins and locking collar (the short tubes). 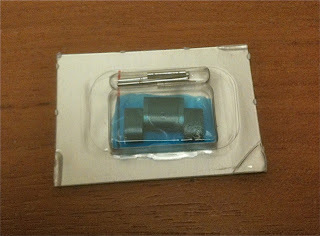 The link is protected by the blue film. Here you can see which way to push the push the pins out. 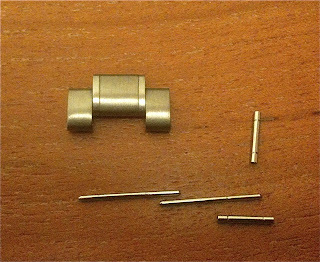 The locking collar sits in the center link. Punch out the pins. Make sure you don't loose it. 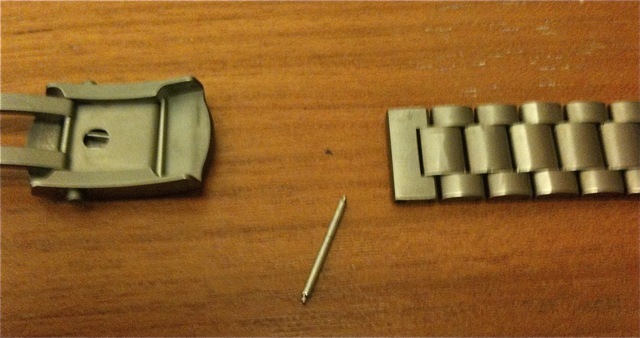 Also be careful of the locking collar as it sits loose in the center link. 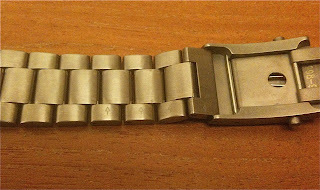 The photograph below shows the wrong way to do this as the best way is to disconnect the bracelet from the clasp. The correct way. 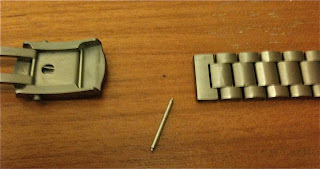 Disconnect the bracelet from the clasp. 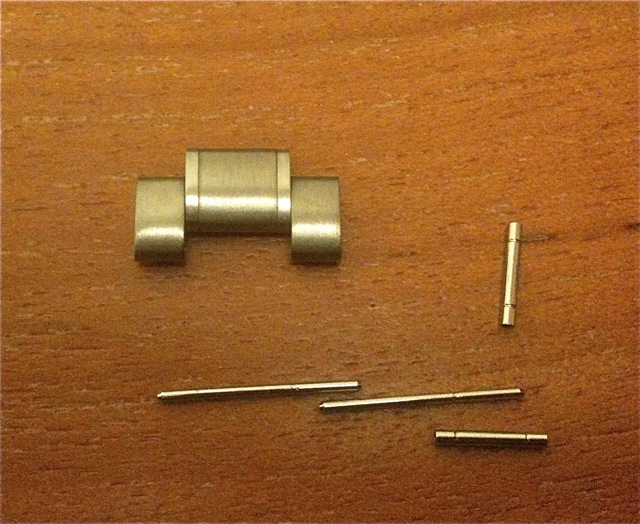 Don't loose the clasp spring bar. It is not the same as the spring bars that attach the bracelet to the watch. The watch on its Kevlar strap. 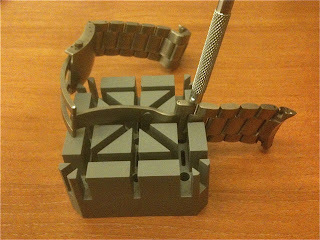 Test fitting the bracelet to ensure that the clasp sits 'center' or balanced to the watch. It is important, otherwise the watch can rotate on your wrist. All done. The bracelet installed on the watch. The watch on my wrist. Feels good. I like it. I think it will be on the metal bracelet from now on. The kevlar strap, now 'retired', packed with the long cloth strap. 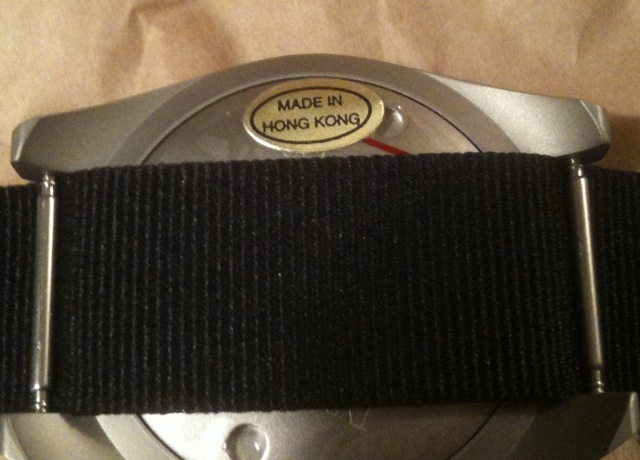 It is a 'locally' produced strap. Wishing all a Happy New Year. May the new year be a good year for you and your family. Thank you all for your support. Here is something you don’t see everyday. 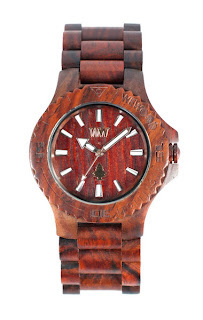 Watches made out of wood. Yes, you read it right, wood. Well, at least the case and strap is made out of wood. 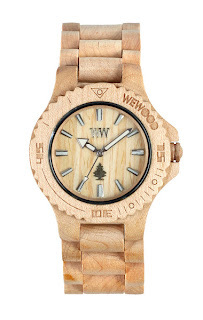 A company called WeWood makes the watches. The company was founded in Florence in 2010. It is now based in Los Angeles. 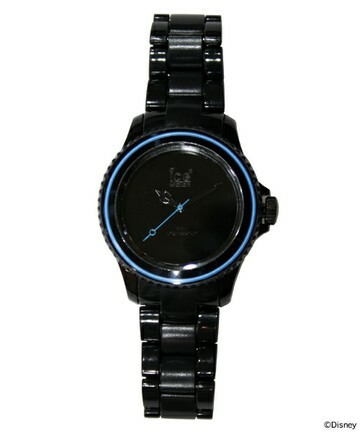 They offer watches in both analog and digital style. All the watches are powered by movements sourced from Miyota of Japan and then encased their special wood cases. The watches measure a large 42 mm to 48 mm, model dependent. 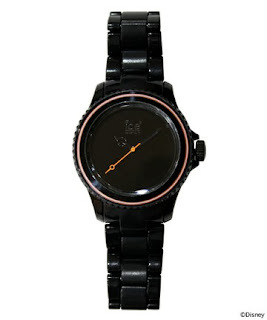 The watches are rendered in beige, black or brown finishing. 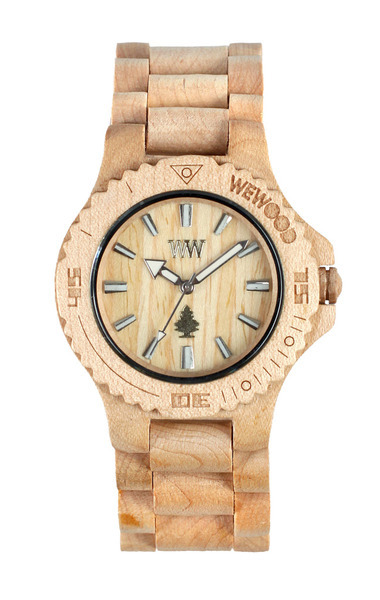 The wood used to make the case is toxin-free and 100% hypoallergenic. Each model comes on an intricately carved wood bracelet. 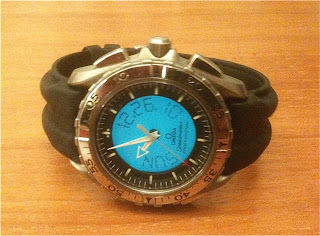 The watches are not waterproof but it is splash resistant. I am not sure about splinter issues. The watches retail for about USD119. 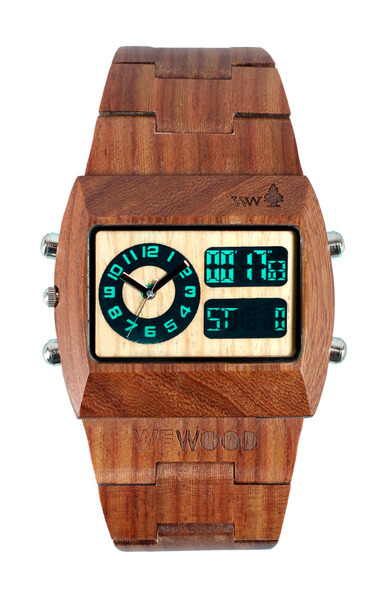 In case you were wondering, Tissot was the first company to offer watches encased in wood back in 1988 called "The Wood Watch". 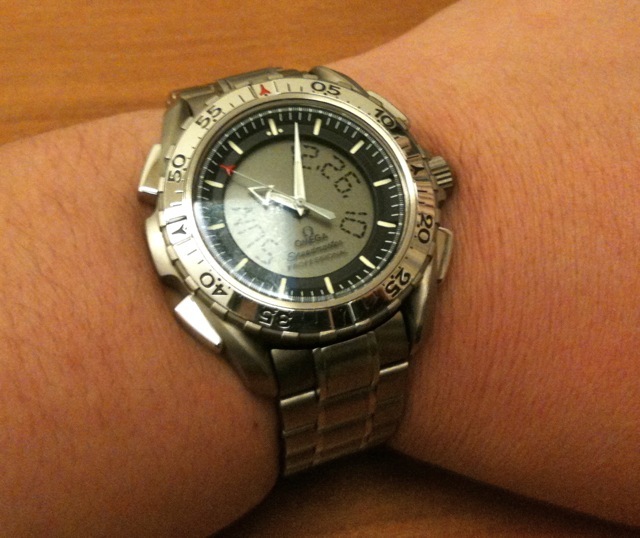 Here is a review of the ice-watch Reference CS.SR.S.P.10 from their Classic Solid collection. I got this watch recently for my children. I saw this watch when I was in Beams Shinjuku. Sadly they did not have the blue version of the watch. They had the orange and yellow. I am talking about the Ice Watch Disney collaboration Tron watch. The watch comes in 3 colours, blue, orange and yellow. 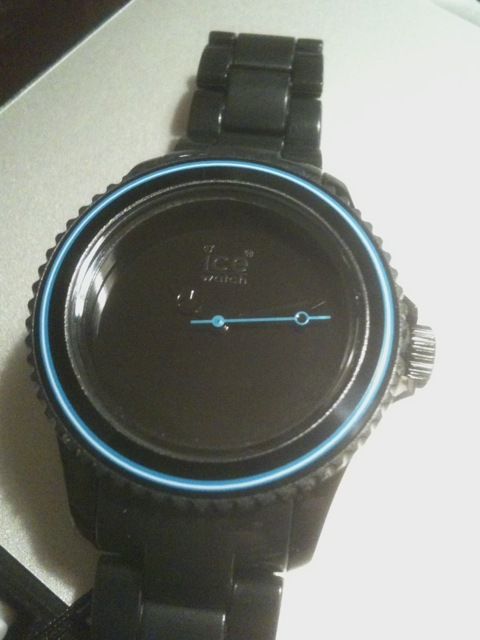 The watch design is based on the wheel/ tyre of the Tron bike. The blue and yellow was launched first followed by the orange (I stand corrected on this). The watches are limited edition watches for the Japanese market. From my understanding (again I stand corrected), the blue and yellow are limited to 500 pieces combined and the orange, 200 pieces. Anyway back to the story. I was in Venus Fort today and lo and behold, there was the Ice Watch Boutique. Straight to the shop and yes, they had 1 in stock. The last one. So I got the watch. I just love the box. The blue writing you see on the box looks like a screenshot from a computer screen. The watch. I got the blue version. 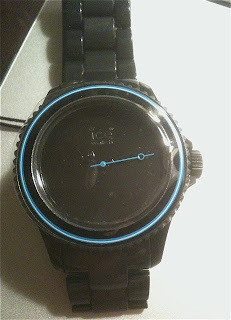 The bezel has a blue line and a white line inside it. The hands are black and only the seconds hand is blue. In fact everything is black. You can just make out the Ice Watch logo on the dial. To be honest, reading the time is not easy. I will write more about the watch later. The holiday is fast coming to an end. It has been a great holiday. Anyway a small update to watch shopping in Tokyo. We visited Venus Fort in Odaiba today. It is a large shopping mall. 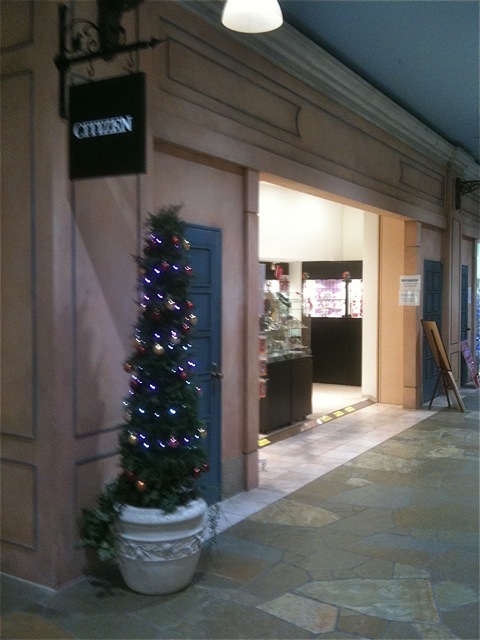 In it you will find the Citizen Outlet store. Lots to see here but the stock is limited to what is in the store. Not sure if it cheaper compared to normal stores. The other watch shops located in Venus fort is move. 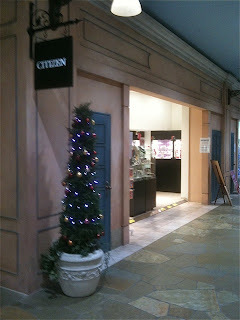 This is a small shop but carries brands like Swatch, Casio, and a host of fashion brands. You can also find the Ice Watch Boutique. Lots of watches from the brand. 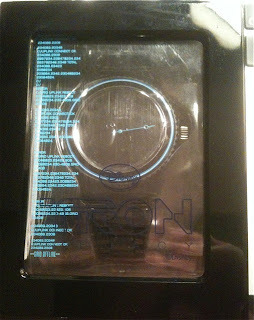 I picked up a limited edition Ice Watch x Disney Tron watch. Lastly you will find the Laox store. This shop sells electrical goods and also watches. It is fun to see top end watches being sold next to electrical goods. The collection of Seiko and Citizen (and subsidiary brands included) is vast. I do know that there is a big Laox watch shop in Shinjuku. I was told that it carries about 10,000 watches. Good news for Christmas. 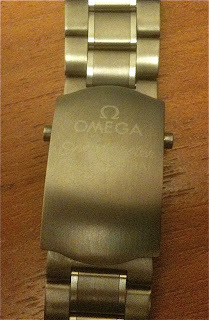 The bracelet links for my Omega X-33 are on the way from the US. I am guessing it will be stuck in 'traffic' in the US due to the holiday season but no a big problem as I am also on holidays. Maybe it will arrive on the same day we get back. Christmas is not a holiday in Taiwan. Will update soon. Well I have to be honest that this report is not really about watch shopping in Tokyo as I did not really take photographs or take down notes. However if you are in Tokyo and want to have a view of what watches are available here in Tokyo, there are a number of places you can go. I 'checked' out two of the department stores in Ginza and can say that the selection and brands are just awesome. Check out Mitsukoshi and Matsuya. The brands represented there is vast, as is the selection within each brands. You can also find limited edition watches for the Japanese markets at these department stores. Another place I went and had a quick view of what they had was Aqua City at Odaiba. Here you can find the Casio G-Shock factory (I am sure one of many all over Tokyo). They too have many watches that are 'just' for the Japanese market. In this mall you will also find Swatch and if you are into collaboration watches, there is Stussy. In the Shinjuku area there is Isetan. The watch brands represented here is even bigger as compared to Mitsukoshi (Ginza). 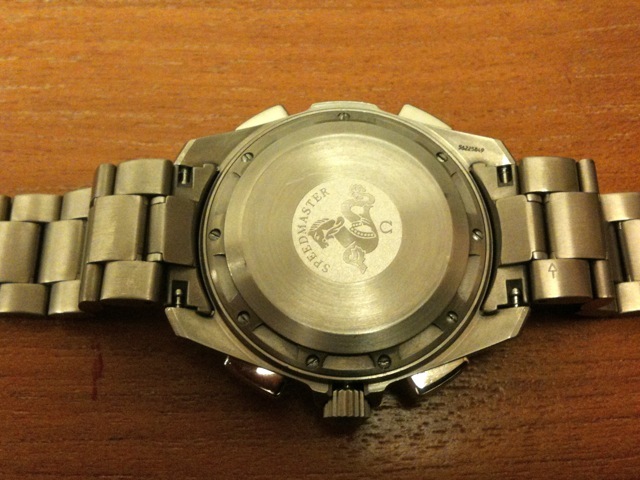 The selection of Panerai watches here is just awesome. I found watches from the 2009 and 2010 limited edition collection here. You can also find 'boutique' only watches (well in AP Taiwan anyway) here in Isetan. Again if you are into collaboration watches, you can find watches by United Arrows (where I got my Benrus) and Beams. Again this is not a really comprehensive report but I can say that there are many many shops here in Tokyo selling both new and pre-loved watches. Oh before I forget, some stores do offer the Tax refund thing but not all. So ask and check if they do. Christmas came a tad early for me this year. I finally got the watch I wanted to get here in Tokyo. Mind you it is not easy as there are many other temptations. Also this watch is sold mostly on-line and being a visitor and the fact that I do not understand Japanese, it is difficult to buy the watch on-line. Anyway, the nice people at the hotel where we am staying manage to track down a shop that sells the watch. Best part of it is that they even ask the shop to hold one piece for me in case it is sold out. Anyway I made my way to the shop and got it. What watch was it? 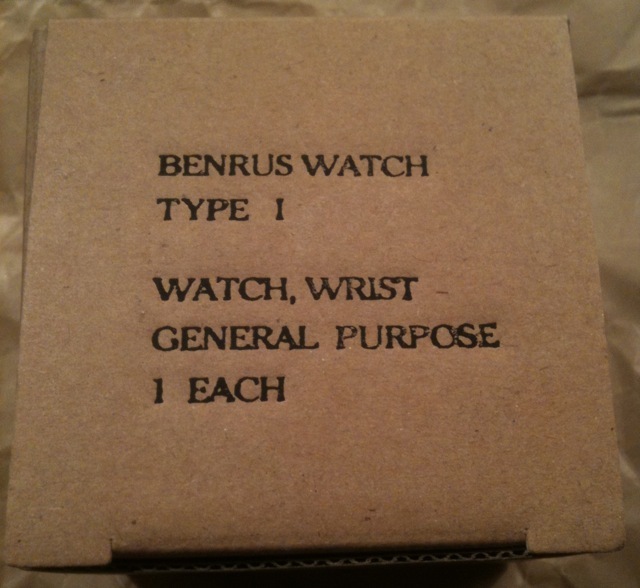 It is the Benrus Type 1 reissue watch. This watch is a reissue of the Benrus Type 1 Class A watch issued at the end of the Vietnam conflict. A bit of history. The Benrus Type 1 Class A dive watch was issued to members of the UDT-SEAL, Green Berets and Special Forces towards the end of the Vietnam conflict. These watches were very durable and some consider it to be the ultimate military dive watch. 2. 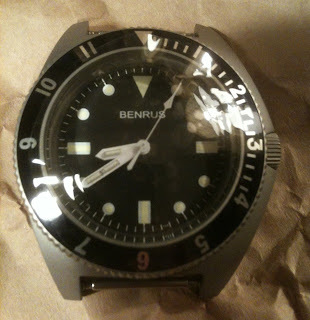 The Benrus signature on the dial on the reissued watch. The original is sterile. 3. 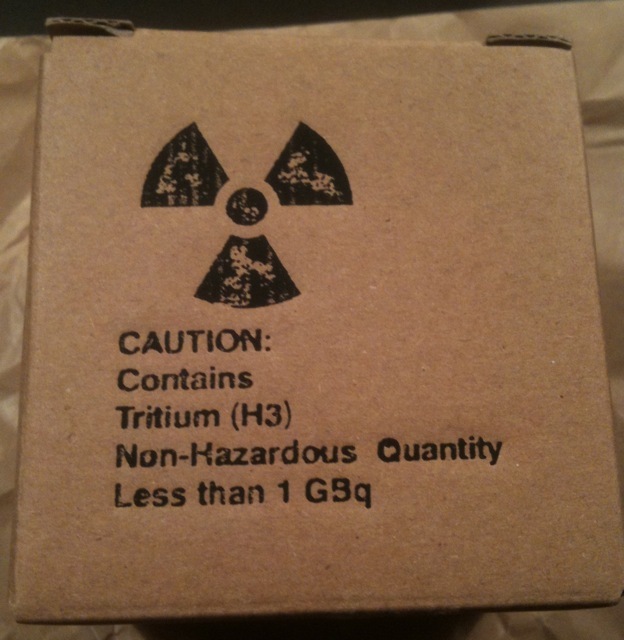 The choice of luminous material on the hands of the reissued watch, being the Tritium tubes as opposed to applied on the original. 4. The case back can be opened on the reissued unlike the original where access is from the front (although the original was a 2 piece case design). 5. 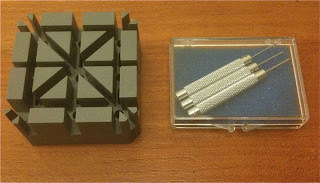 Fixed bars on the original and spring bars on the reissue. 6. 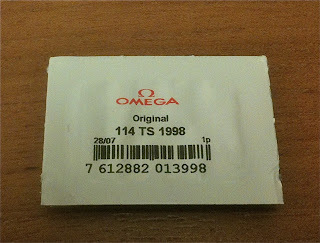 Water resistance rating with the original tested to 1,200 feet while the reissue rated to 10 ATM. 7. 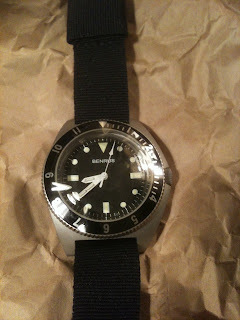 The original is anti-magnetic, not sure about the reissued watch. That is a lot of differences (I am sure there is more) but I don't mind. Oh, finally there is the price, with a pre-loved original costing about 4 to 5 times as much as the reissue. 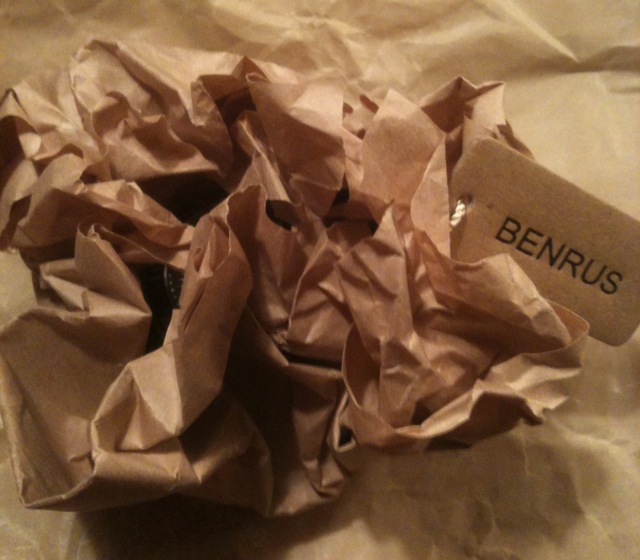 The packaging. I believe the packaging is based on the original. It comes in a simple brown box. 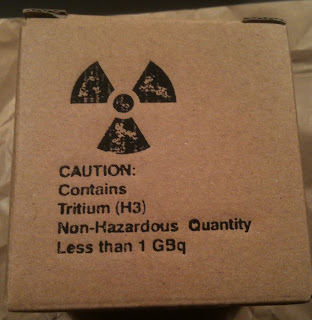 A warning label on the box on the use of the Tritium gas tubes on the hands. 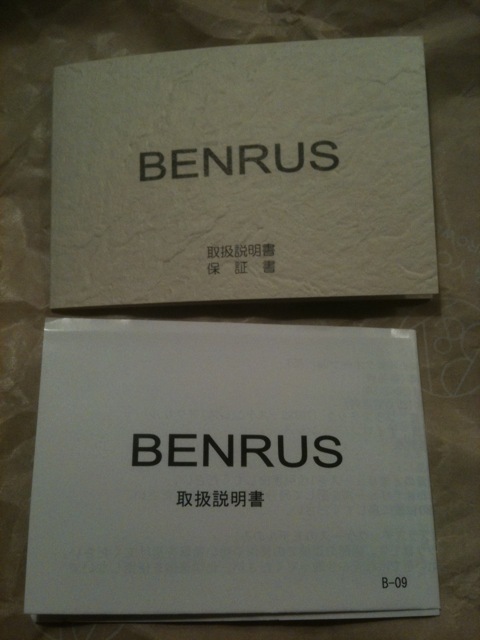 The warranty card (top) and the instruction manual, all in Japanese. 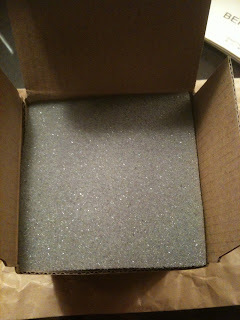 Lets look inside the box. 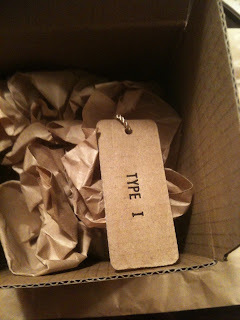 The other side of the tag. Somewhere inside this mess is the watch. Note the use of paper as the backing material. Finally the watch. 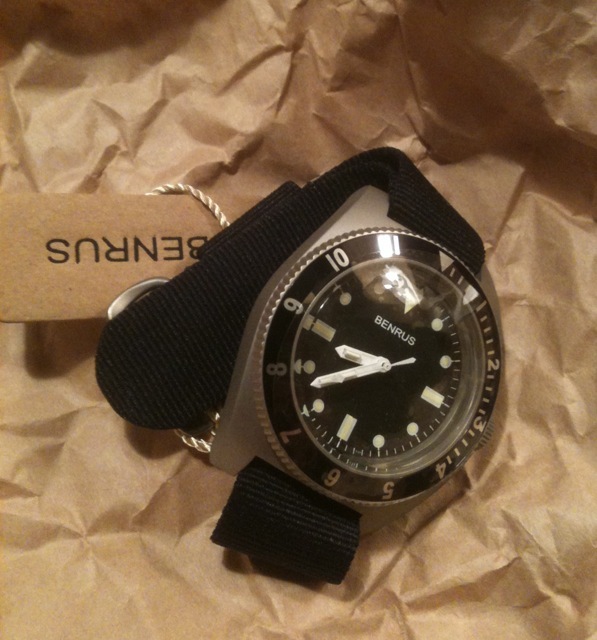 It comes fitted with a black sterile 'mil-series' type one piece strap. 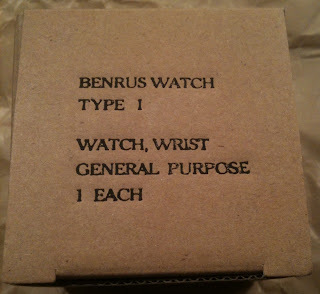 The watch, the Benrus Type 1 Class A reissued watch. The protective plastic is still on the watch. 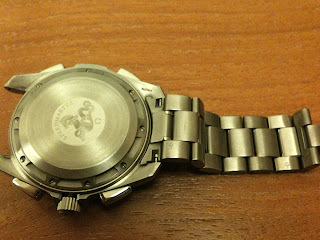 The back of the watch. What is that little gold sticker? 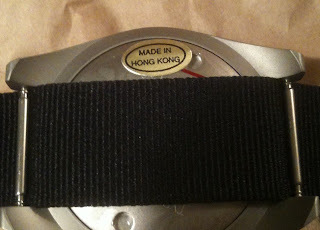 Yes the watch is made in Hong Kong. I was told that the movement is Swiss made. The instruction manual says that it is fitted with a Benrus Calibre 513. I will crack open the case back when I am back from my holiday to confirm what movement is fitted to the watch (and perhaps what modification can be done). The case back. 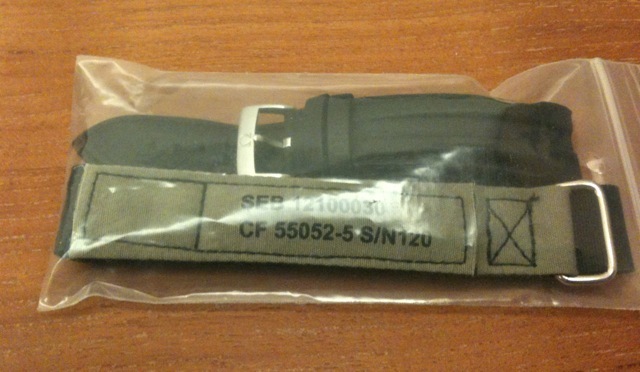 No serial number, issue date, contract number or mil spec, which is fine by me. The watch. The dial design is based on the Rolex Submariner. It is very legible. Some may not like the hands though. The domes crystal that integrates perfectly with the bezel. I don't think it is sapphire. I believe it is mineral crystal. The original is acrylic. A more detail review will be posted later. 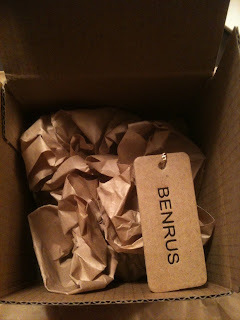 Now if only I can find the Benrus x Beams reissue of the Type II. Sinn and Isetan Japan (a Japanese Departmental store) has collaborated to release the Sinn x Isetan Co. Ltd Limited Edition watch. The watch, based on the Sinn 556 model is limited to only 50 pieces worldwide. The design of the watch, more so the dial is based in the military pilot watch from the 1950s with vintage looking hands and military look dial. The watch offers the following functionalities; hours, minutes, seconds and date complication. I am sure the hands are luminous but I am not sure about the Arabic hour index. I was not able to see the watch as someone else was looking at it. 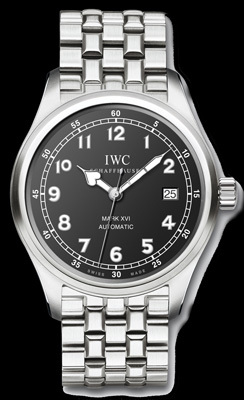 The watch is cased in a 38.5 mm diameter stainless steel case and is slim at 10 mm. The lug width is 20 mm and the watch is offered with either a black or brown leather strap. 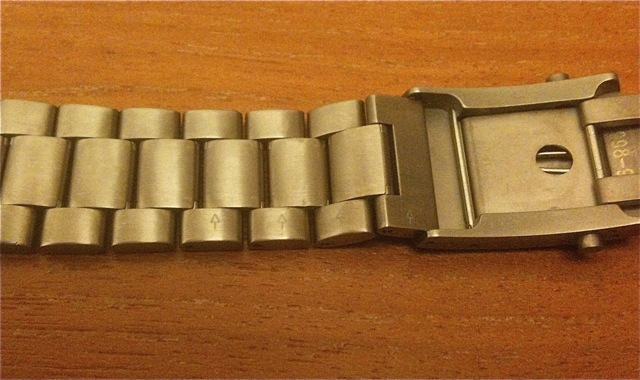 A stainless bracelet is available as an option. 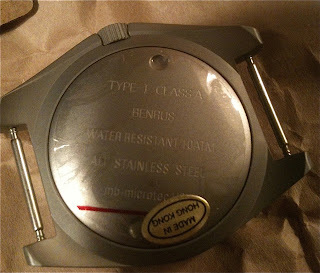 The watch has a screw down see through case back where you can view the ETA 2824-2 movement. The crown is also of the screw down design. The watch is fitted with a sapphire crystal and is water resistant to 20 ATM. The watch retails for about USD 1,900 and is available from Isetan Shinjuku (watch section). Somehow this watch looks bigger as compared to the other two Japan limited edition Sinn. Normally watches with white or off white dial looks bigger, but this is not the case (pun not intended). This is a nice watch. I like the fact that the minute hand reached the railroad track minute index and the white on black calendar display. I posted about this watch sometime back asking if anyone knows about this watch. Well I manage find out more. Well there are two models, IWC reference 325516 and reference 325517. The difference between the two watches is the strap, with the reference 325516 fitted with a black crocodile leather strap and the reference 325517 fitted with a metal bracelet. Both the watches are based on the current Pilot Classic Mk. XVI, so they share the same specifications. The reference 325516 is a limited edition run of 200 pieces while the reference 325517 is limited to 150 pieces. 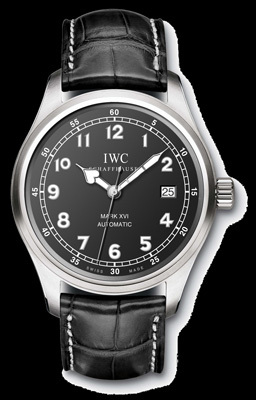 IWC reference 325516, price USD 5,500. IWC reference 325517, price USD 7,300. I tried the reference 325517 and really like it. Tempted but did not get it. Another watch was in the line of sight, but that is another story. 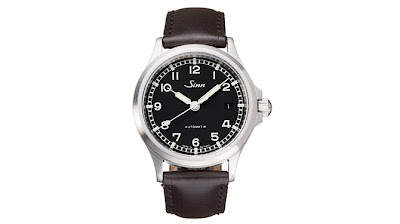 Sinn has released two more limited edition watches for the Japanese market. Both the watches, Sinn reference 556 CR and 556 BR are based on the Sinn 556. Both the 556 CR and BR are a limited edition run of 150 pieces each. 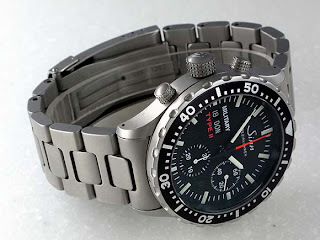 And both the watches share the same specifications with the standard Sinn 556 but there are some minor differences between the three watches. The major difference between the watches are the dial colours, with the 556 CR having a beige dial, the 556 BR a brown dial, while the standard 556 has a black dial. The 556 CR will have a mix of Arabic and baton hour markers, while the 556 BR will have all baton hour markers. Both the 556 CR and BR will not come with the date complication. The 556 CR will be fitted with black luminous hands while the 556 BR will have white luminous hands. The hour markers on both watches are luminous as well. The watches are expected to retail for about $1,840 USD. 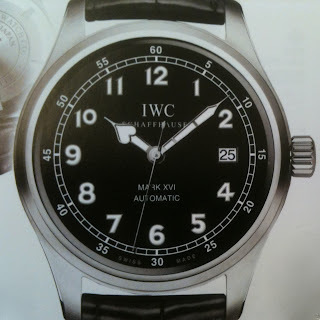 I have seen both the watches, and have to say that they look smaller than the 39 mm diameter the watch spots. Even with the fact that it is all dial, it still looks small. I like the black lume on the 556 CR. 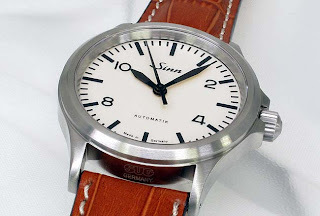 There were other limited editions Sinn at the shop like the Sinn Military Type II. I am surprised that the watch is still available as it is a limited edition of 300 pieces and it is a left-handed watch. 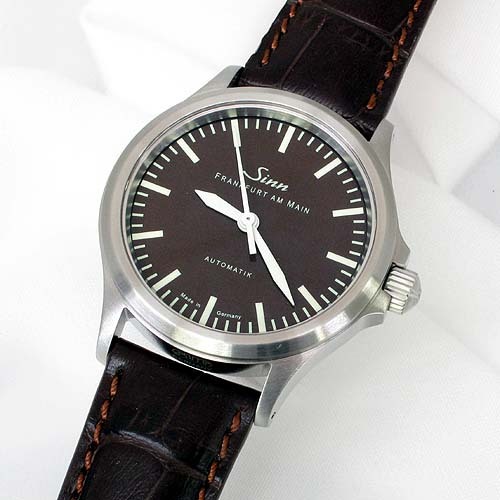 The Sinn Military Type II.